Our plumbing contractors have experience in the planning, design, and execution of the plumbing for a residential or commercial structure in Morganton. Plumbing Contractor in Morganton – Whether you’re planning a major renovation to the bathrooms or kitchen of your home or you’re involved in a construction project to build a new residence for you and your family, you’ll need the help of a plumbing contractor at some point during the process. A plumbing contractor has more experience in the planning, design, and execution of the plumbing for a residential or commercial structure. There are a number of plumbing companies throughout Morganton, North Carolina, but few have a plumbing contractor on staff to help with more serious concerns. This is just one of the areas that sets us apart at Minyard Plumbing, Inc.
Our plumbing contractors understand the unique needs of each of our clients. In order to work as a plumbing contractor, a professional must hold a license in the state, which indicates a level of experience and professionalism. Holding a plumbing contractor’s license in the state of North Carolina requires the individual to pass an examination. You can also feel more confident when our plumbing contractors handle your needs, since they are licensed and bonded, in case something happens during the job. 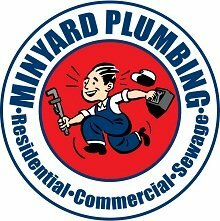 If you have any questions about plumbing contractors and their role in renovation and construction work, don’t hesitate to give us a call at Minyard Plumbing, Inc. We have more than 30 years of experience in the plumbing industry. Each of our team members will be happy to talk to you about options we offer for repairs and installation, as well as the benefits of choosing us for your plumbing needs. 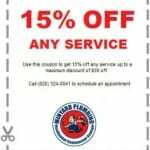 At Minyard Plumbing, Inc., our plumbing contractors proudly serve Morganton, Hickory, Bethlehem, Conover, Lenoir, Lincolnton, Newton, St. Stephens, and Taylorsville, North Carolina.